Good morning, ladies! Today is our lucky day because we’ll get the chance to see these lovely photos from Jean and Joei’s wedding in Bella Rosa Gardens! 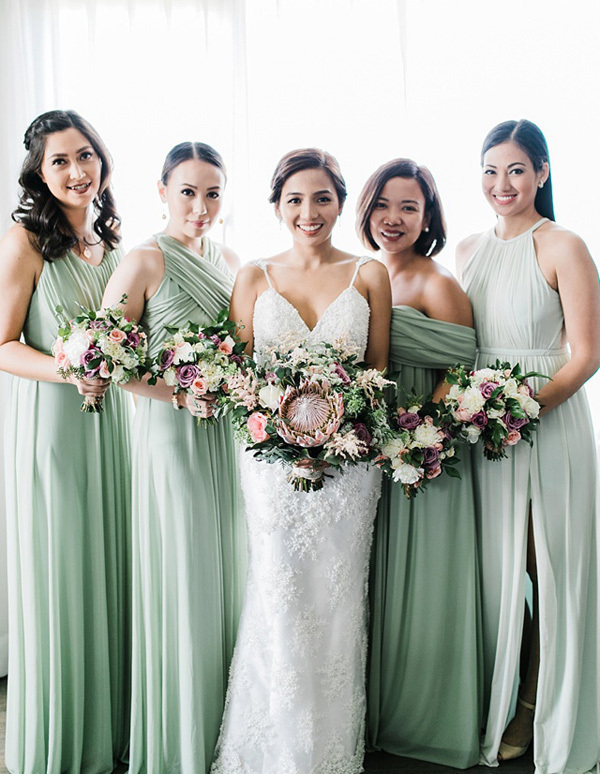 The various shades of green that they used for their color scheme reflected a romantic but laid-back feel, and it’s wonderful! And whether you have a penchant for classic church weddings or sweet outdoor receptions, today’s feature has a little something for you. (Psst, those bridesmaid dresses by Tantease and Bessie Besana are also worth checking out!) Kudos to Helium Hearts by Marlon Capuyan for taking these gorgeous shots! Let’s go and check them all out below! « Maxene Magalona and Rob Mananquil’s Intimate Church Wedding is Full of Out-of-the-Box Details!